Look at this remarkable image for a moment. Now close your eyes and conjure it in your memory. Does your mind’s eye see the many white angels dancing about the dark heavens? Or do you see the many black demons, horned devils inhabiting the bright white space of Hell? In this illusion by the artist M. C. Escher, both perspectives are equally possible. Once aware of the congruence between good and evil, you cannot see only one and not the other. In what follows, one will not allow you to drift back to the comfortable separation of Your Good and Faultless Side from Their Evil and Wicked Side. “Am I capable of evil?” is the question that I want you to consider over and over again as we journey together. 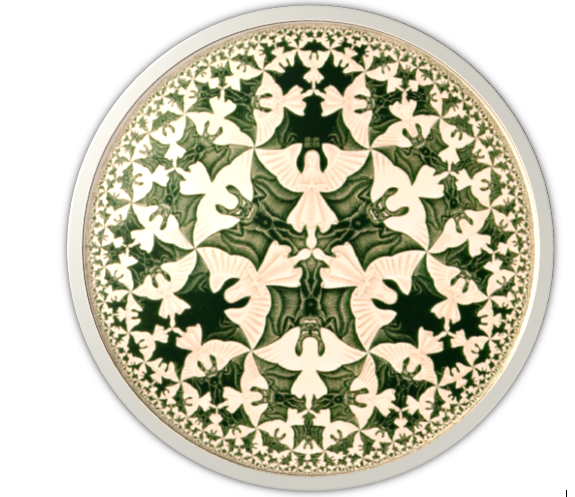 Three psychological truths emerge from Escher’s image. First, the world is filled with both good and evil—was, is, will always be. Second, the barrier between good and evil is permeable and nebulous and third, it is possible for angels to become devils and perhaps more difficult to conceive for devils to become angels. Why do good people do bad things? What is the elusive line that distinguishes good and evil? The basic question we need to ask ourselves is how it is possible for ordinary human beings to become executioners of utmost evil deeds. There are numerous occasions over the course of our ordinary lives where we are surprised by the evil actions of people we think we knew very well or for that matter even our very own evil actions sometimes do surprise us. Whether we want to believe it or not there is evil in all of us. The mind thinks and controls our bodies in ways that we would never think possible until it happens. By pointing out that the predominant paradigm in our culture for explaining human behavior is known as the dispositional model, a model that focuses on inner individual personality traits and deviance. Although such factors can and do contribute to human behavior, an alternate, equally important model that our society tends to minimize and overlook is the situationist perspective, the contribution of external factors pertinent to the situation that contribute to behaviors human beings engage in. People in our culture tend to overestimate the contribution of internal personality factors and underestimate the contribution of situational and systemic factors – the analogy of bad apples (individuals), bad barrels (situations) and bad barrel makers (systems). All too often when we are analyzing situations in which atrocities occur our cultural bias is to focus on the belief that the atrocities were committed by the “bad apples,” ignoring the barrels and barrel makers. The fundamental attribution error, a staple in the social psychological literature, runs rampant in most conceptualizations of evil. Recollect those painful events of the 20th century’s worst examples of man’s inhumanity to man: the butchery of up to 350,000 Chinese civilians at the hands of the Japanese at Nanking in 1937; the ‘banality of evil’ as personified by Adolf Eichmann; the massacre of some 800,000 Rwandans in the 1994 genocide. This explains the Lucifer Effect in terms of the cosmic transformation of God’s favorite angel, Lucifer, into Satan as he challenges God’s authority. We live in a world where devils and angels coexist in mysterious forms and are in a constant fight with each other and within themselves, being the greatest creation we wield the power of ultimate will and every man’s life voices the conflict (between good and evil). It may seem impossible to control our heart at times but faith and good will, serenity and self-worth will assure a meaningful journey in our lives.